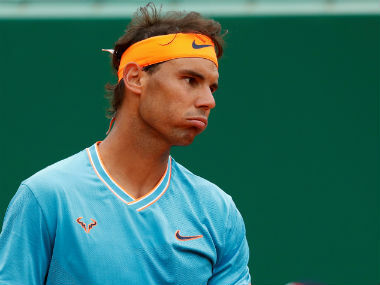 Paris: Rafael Nadal will resume his bittersweet relationship with Wimbledon buoyed by his record-breaking French Open but wary of the traps which have ensnared him at the All England Club. The 31-year-old Spaniard routed Stan Wawrinka at Roland Garros on Sunday 6-2, 6-3, 6-1 to become the first man in history to win the same major 10 times. That took him to 15 Grand Slam titles, one ahead of Pete Sampras and just three behind the 18 of old rival Roger Federer. Next up on the Slam list in three weeks' time is Wimbledon where Nadal was champion in 2008 and 2010 and runner-up in 2006, 2007 and 2011. However, his last four visits have all ended with defeats to opponents outside the top 100. "It's a while since I didn't play a very good Wimbledon. It's true that after 2012 what happened with my knees has made it tougher and tougher to compete on grass. That's the reality," said Nadal. In that spell, a fourth round run in 2014 was his best effort. "I love grass, everybody knows, and it's a surface that I really enjoyed a lot playing on. 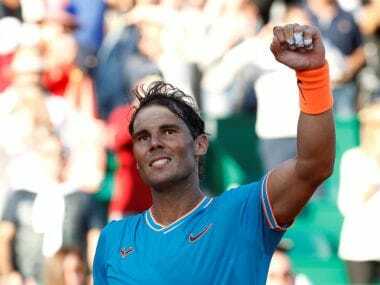 And I missed playing at Wimbledon," said Nadal. "So I hope that my knees hold well and I can have the preparation that I really need and the preparation that I want. "So if that happens, why not? If I have pain in the knees, then I know from experience that it's almost impossible. Because I need to feel strong and have low, powerful legs to play well in Wimbledon. "If I don't feel that, then probably my chances are not there, no? But if I am healthy and I am able to have the right preparation and feel healthy during Wimbledon, then probably gonna have my chances to play well." 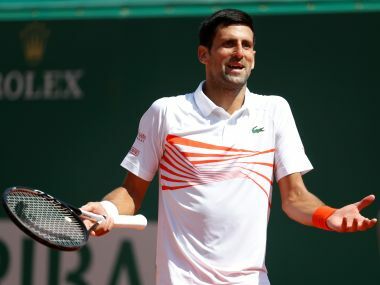 Before his title triumph on Sunday, his most recent Grand Slam title came in Paris in 2014 and he admitted that there were doubts over whether or not he'd recover his former powers. "I have doubts every day but that's good as it makes me work hard with more intensity," he said. "You have to be humble and accept that you have to work to improve things. "I have doubts today, I had doubts in the last three years, I will have doubts in a few days. "Life is never clear. If you have no doubts, then you are very arrogant. I am not an arrogant person." After winning his ninth Roland Garros and 14th major in 2014, Nadal's best performance at the Slams was two quarter-final spots. 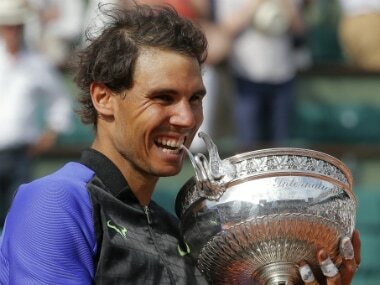 But he dominated the clay court season this year with titles in Monte Carlo, Barcelona and Madrid. He lost just one match on clay while his win on Sunday took his Paris record to a staggering 79 wins and just two losses. That series of success started in 2005 with a maiden French Open win and Nadal admitted he was surprised to still be playing. "In 2005, I thought in 2017 I'd be fishing on my boat in Mallorca. I didn't really think I'd have such a long career and win so many tournaments," he added.